Whisk together coconut milk, sugar and vanilla together, in a small saucepan, over medium heat, and bring to a boil; stir in rice, cover, reduce heat to to low, and simmer rice for 20-25 minutes, or until softened, and pudding had thickened up; whisk in yogurt. 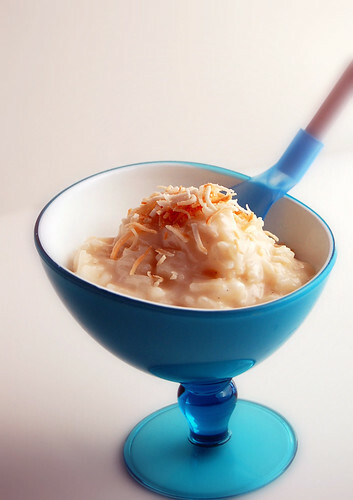 33 comments on "Basmati-Coconut Rice Pudding"
Is something that delicious really that simple? Good luck packing up. I start stressing just thinking about it. Oh yum! That sounds super delicious!! Especially with the toasted coconut sprinkled on top! It's amazing what you find when you start packing!! I am enjoying this indian inspired rice pudding! It looks like a lightened up version of the traditional one. And I really enjoyed the Babysitter's club when I was a kid! Oh, and sweet valley too! Babysitters Club. Ha ha I used to love love love that series. I think Dawn was my favorite, and to this day, I still think about the tunnel she discovered between her house and the barn or whatever. Why do I still think about this??? Basmati is my favorite type of rice as well. I used to cook brown Basmati all the time in my rice cooker, and the whole house would smell like buttered popcorn. You and your rice pudding! I've never had it but I really want some right now. Yum! Good luck with the packaging!! 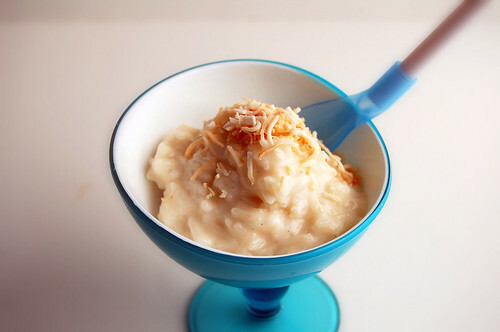 This coconut basmati rice pudding looks so tasty!! you are my hero, basmati coconut rice pudding: i LOVE all of those components, and i love regular rice pudding, so this is surely going to be a favorite of mine! i'm positive it won't look as gorgeous as yours does though, such lovely pics. ugh, packing seems like a never-ending process. good for you for sorting through things early though! haha babysitter's club, good times. 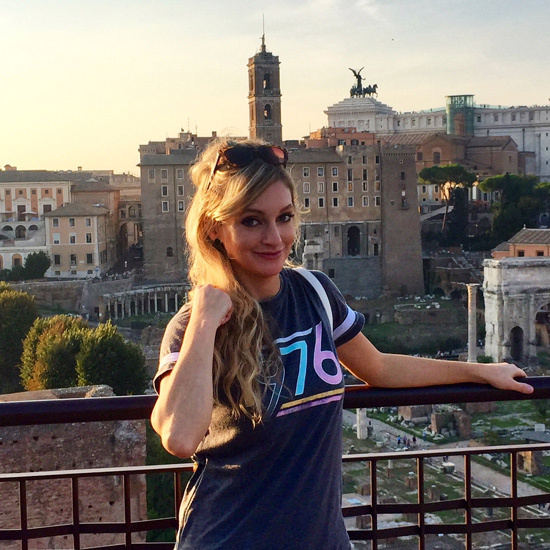 I found your blog by accident, but am loving it! And I share your packing pain. My boyfriend and I are moving out of our first house and in with my parents temporarily until we move across the country. I've found some crazy things so far including my cable bills from college...from 2004! I do hate moving! Packing is the worst. When I moved into my very first apartment, I mentioned my tendency to break glasses a lot. My friend Mike decided to buy me a 40-piece glassware set so that I'd always have plenty of glasses. I never broke a single one and when Kevin and I bought our place and moved into it 3 years later, I was cursing Mike out as I packed all 40 pieces of glassware. I still haven't broken any (I broke half the glasses Kevin brought into the marriage though). I think Kevin and I are going to have to stay put in our current place. Awesome, sort of like rice pudding but fancier! Not your foot sculpture??!!! You didn't REALLY get rid of that, did you? I think you may really regret it. What a great recipe. I will report to you on how it is, but I may make a little substitution of cream for yogurt AND I may throw in a raisin or two. awesome looking recipe, no surprise there! Great recipe, I've been looking for one just like it! One question though, is the rice pre-cooked or raw when you add it to the milk mixture? you need to get busy on ebay, emily--some of that stuff would sell like hotcakes! meanwhile, the highlight of this treat for me is that coconut on top--so crunchy and tasty and the perfect contrast to the creamy pudding. nice work. Moving is never, ever fun.....the fun is setting up in your new place! That rice pudding looks terrific...I love the addition of coconut! Perfect! I loved the Babysitters Club! I used to have all the books- I think they are still at my parents house. I never had the dolls though. I don't even know that I knew there were dolls. I want the babysitter's club dolls..ha! JK! I did love those books though. We are getting ready for a remodel so we have been going through stuff, I can't believe all of the crap I saved. Good luck! Love the pudding and what a fun dish too! I hate moving too... and I have moved more than 10 times from 2003 to 2007! Sooo glad this is over!! Hmmm - rice pudding is so comforting. I love that you added toasted coconut here. The texture must have been awesome. Hey hon!! Good luck with the move. I think its so much fun to move into a new place personally. You always dig up great stuff. ha! OMG have not thought about the babysitters club in forever. How funny! And i gotta say sweetie your recipe and photos are amazing as usual. 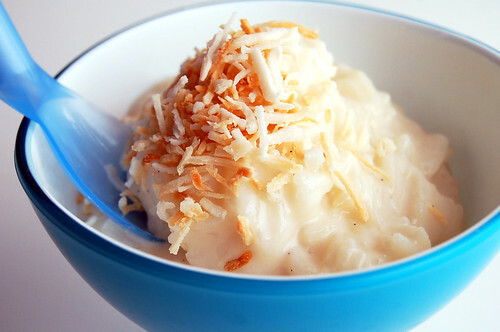 I love coconut and rice pudding. You got the best of both worlds going on here. Awesome!!! Have a wonderful day! Heather, that's the tunnel that Dawn found the old coin in. She thought it was haunted, but really it was Jamie Newton. Or was it David Michael? Damn it. Hi Janelle! Thanks for stopping by! Wow, that is crazy. Good luck in your move. How convenient! I have a coconut full of milk that I picked up in Puerto Rico so I have the 'raw' ingredient for the rice pudding. I'll be making this one! By the way, congrats on the townhouse and great idea to clean out the unused and unneeded junk. LOL - vintage Orangina - mmmm. I'd rather have the rice pudding, thanks, which looks delish! I LOVE rice pudding! The greatest comfort food ever. I've never tried it with coconut before but that'll have to change for it sounds divine. I'd have a nervous breakdown if I had to move at this point in my life! But I think the rice pudding you've got there would help me recover. Packing is never fun! It's always annoying to try and plan ahead but still try not to pack things you still need to use, like cookware. It doesn't seem like you're having that problem though, and this rice pudding looks excellent. Oh this is almost a staple in Indian homes! We make it very often, you did great! And I used to love the BSC, lol I want to go read some books now! SO - do you still have babysitters club dolls? I would love to get a hold of Mary Anne & Dawn - are they the 18" dolls? You are too funny with all your stuff. I think I went to Good Will with a car load just about everyday for two weeks with our "stuff"! I've never LOVED rice pudding, but maybe it's because I haven't used basmati and the coconut--mmmm! Yes I do! How much do you want to pay?